How do you store your pictures now? Just a few years ago we would take in the film and wait for the prints and then put them in photo albums or store them in photo boxes. But, too often – Life Happens – a flood, a fire, anything and those prints are ruined and possibly your negatives. Then we moved to digital cameras and memory cards. So, then we could store them on cd’s or dvd’s – that got broken, lost, and scratched. So, then we start saving them to our computers – which crash, taking all of our precious photos with it! Or maybe we store them online and pay a service monthly to keep them safe – but, are they? Sites get hacked all the time! 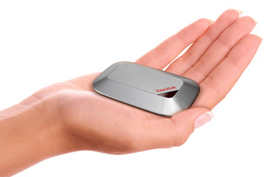 Well, SanDisk has come up with a solution! They sent me a 16GB SanDisk Memory Vault to try out! You can save your photos to it and label it with the provided labels and store it away without the fear of losing your photos! 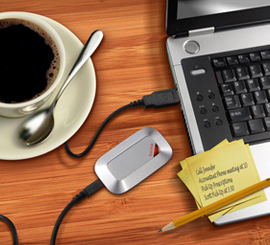 Introducing the SanDisk Memory Vault, the first product from SanDisk engineered to preserve your most important photos, videos, documents, and scanned files for generations to come. 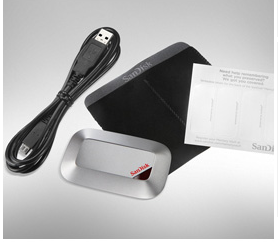 Preserve your life’s most cherished moments with the SanDisk Memory Vault. After capturing your most precious moments, whether they’re graduation photographs or wedding videos, having the peace of mind that they will be stored securely and in their original format for generations to come is invaluable. Data retention test results and over 23 years of memory management experience show that you can trust SanDisk to deliver a secure solution to preserve your priceless memories. It is kinda heavy for it’s size because of the material it’s made out of, it looks pretty indestructible. I didn’t throw it across the room – but, I think it would be fine to drop it! I received a sample of affresh Dishwasher and Disposal Cleaner to try recently. The day I received I was ready for it, we had had some fish the night before and it mixed with something else in the disposal and wow – did it need something! So, I was happy when it arrived. They are round tablets and come in individual small plastic bags. As soon as you open the resealable bag that has them all in it, you can smell the fresh scent – kind of lemony – I liked it right away. So, you are supposed to throw it in the disposal, run it with hot water for 15 seconds and then turn off the water and disposal and let it sit 30 minutes and then flush it with hot water. It did a great job! I put the stopper in while it sat for 30 minutes, too. But, it smelled wonderful after that I was very pleased. I then got excited about trying it in the dishwasher. I was out of the final rinse stuff so it needed a good cleaning. You just empty the dishwasher and pop 1 –2 tablets in it and let it run! It was easy and I was happy with the results! What? 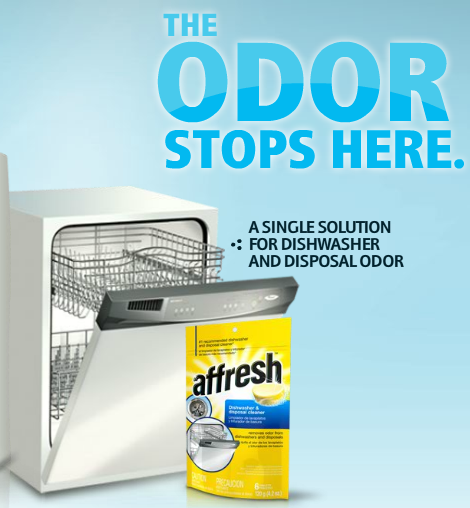 To keep smelly kitchen odor at bay and ensure appliance workhorses run smoothly, Whirlpool Corporation (NYSE: WHR) introduces the new affresh® Dishwasher and Disposal Cleaner, the only two-in-one cleaner for dishwashers and garbage disposals. Affresh® Dishwasher and Disposal Cleaner is safe for septic tanks, dishwashers, disposals and plumbing, and is the #1 recommended cleaner by KitchenAid, Whirlpool, Maytag and Amana brands. Why? All brands of dishwashers and garbage disposals have the potential for odor if not properly cleaned, as indicated in the Use & Care guide, especially when dishes sit in the dishwasher for multiple days or when food particles are not completely rinsed away. Until now, no other product on the market removed both dishwasher and garbage disposal odors. Whirlpool developed affresh® Dishwasher and Disposal Cleaner, an extension of the affresh® washer cleaner brand, to clean unseen particles that can cause odor. To ensure maximum performance, Whirlpool recommends a monthly use or as needed for a cleaner, fresher dishwasher and disposal. How? To use, place one tablet in the main dishwasher detergent tray and another tablet in the prewash tray or in the bottom of the dishwasher. Run on the heaviest cycle – without dishes – using the hottest wash temperature to activate the affresh chemistry to dissolve and neutralize odor, leaving behind a crisp citrus scent. If you have a garbage disposal, you should follow up with a tablet in the disposal to remove odor in the drain pipe, which connects to the dishwasher. To clean the garbage disposal, place one tablet into the disposal, slowly run hot water through the disposal for 15 seconds. Turn off water and disposal, and wait 30 minutes before flushing with hot water. Availability: Retailers nationwide including Sears, Best Buy, Lowe’s, Kroger and Food Lion, and www.affresh.com. The Affresh® tablets are available via a subscription through the Web site to help consumers save time and money. About Whirlpool Corporation : Whirlpool Corporation is the world’s leading manufacturer and marketer of major home appliances, with annual sales of approximately $19 billion in 2008, 70,000 employees, and 67 manufacturing and technology research centers around the world. The company markets Whirlpool, Maytag, KitchenAid, Jenn-Air, Amana, Brastemp, Consul, Bauknecht and other major brand names to consumers in nearly every country around the world. Additional information about the company can be found at http://www.whirlpoolcorp.com. My dog, Molly, was asked to be a Pedigree Ambassador and as an Ambassador, Mom Central and Pedigree sent her 2 large bags of Pedigree Dog Food. The day they came in the mail we were opening one of the bags and had the other laying in the floor and our sweet dog, Molly, was laying in the floor next to the bag with her face up against it wagging her tail! Finally, a package arrived for her! 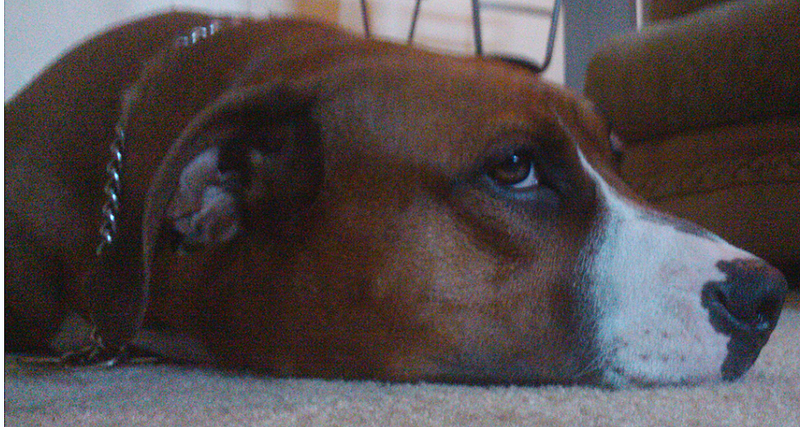 She’s such an expressive dog, we always know what she wants – she makes sure of that! She LOVES the new dog food and is excited to eat it everyday. The other food we were feeding her, and we tried many, she could take it or leave. She didn’t eat it all in one sitting. But, the Pedigree she gobbles up all at one time! She really loves it! She does have a very sensitive stomach, we have found out the hard way – we are bad owners, we offer table food! eek! 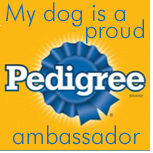 But, she doesn’t do well with that so we quit, she handles the Pedigree great though! I would definitely recommend it, if you are looking for a good dog food for your dog. I’ll let you know how it goes as we test out this new food on Molly – so far – so good! 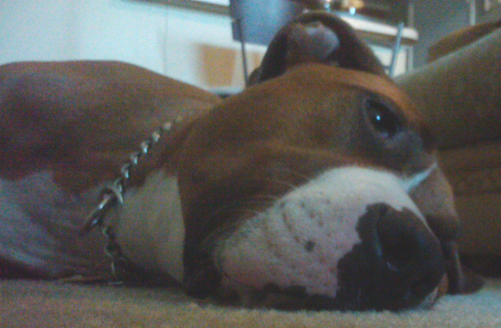 Check out Pedigree’s pet adoption drive on FaceBook, too! We adopted Molly from the shelter about 9 months ago and adore her!